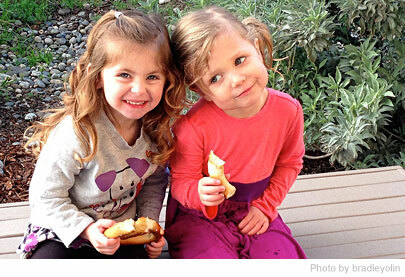 For young kids, sharing is not necessarily an easy concept to comprehend. However, this skill is essential to kids as they begin to socialize with their peers, and ultimately have an increased sense of self-awareness and understanding. More often than not, parents can easily recall a moment in their kid’s childhood where shouts of, “NO!” or “MINE!” played a regular role in simple day-to-day interactions. How do you plan on conquering this mighty feat of teaching your little ones to share? Here are a few of our top tips for easing this major milestone in your child’s development. It is vital for kids to be able to empathize with their peers before they are able to understand the “why?” component behind sharing. Begin socializing your kids early by getting them to connect with schoolmates or siblings that are around the same age as them. You might find that kids naturally learn from observing one another. And, while conflict is bound to arise from time to time, learning to play well with others will help your kids become more aware of the impact of their actions. Sharing is often linked with a child’s understanding of fairness. By teaching kids to take turns with toys or other items that you might want them to share, they are bound to become more understanding when it comes to loosening their natural possessiveness. Remind kids that they will get their turn, but that this also means that in the meantime they must learn to share and be patient. In their early years, kids learn more than you might think from simply observing the actions of those around them. That being said, it will benefit your kids if you constantly model generosity first hand in your home by being vocal about sharing with others in your household. If you have older kids in the house, give them the opportunity to take the lead by having them share items like snacks or toys with their younger siblings. Experiencing generosity and sharing first hand will be a major help when it comes to learning to do it themselves. A little positive reinforcement can go a long way when helping your kids form new habits like learning to share. When you see them employing their new skill by sharing items with friends or family members, be sure to take notice and acknowledge their actions. Even when it doesn’t seem like it, it is extremely common for kids to seek approval from their parents. By acknowledging your child’s progress, there will only be room for further improvement in the realm of sharing. Ultimately, kids will learn and develop in their own ways, picking up habits like sharing in their own time. However, utilizing top parenting tips like these can be just what your kids need to get on the right path toward sharing.